To say that Aldis Hodge has been putting in work in Hollywood is an understatement. The North Carolina native has worked steadily in television and film for nearly two decades and most recently on the critically acclaimed television series Leverage and The Walking Dead. Last year, Hodge rocked the mic and the big screen as MC Ren in the box-office smash Straight Outta Compton. The celebrated biopic has helped pave the way for what is sure to be Hodge’s star making role in WGN’s highly–anticipated period thriller Underground. Hodge stars as Noah, a blacksmith who joins forces with other slaves to revolt and escape from a Georgia plantation to freedom in the North using the Underground Railroad. Hodge, who prepared for the role by doing copious amounts of research including reading slave narratives, could have ostensibly worked on a number of projects. Instead his interest was piqued by this project because he was attracted to the quality of the material and it would allow him to stretch himself as an artist. “When dealing with subject matter like this, you have to write it in a nuanced way so that people get a completely different perspective of this time frame,” says Hodge. The Underground Railroad is taught in schools as a path to freedom enacted solely by abolitionist Harriet Tubman, when in fact it was an extremely complex movement and system that required the cooperation and discretion of thousands of people of all backgrounds in order to work. Hodge connected to the character of Noah, a “free” man who is enslaved, because he “respected” his character so much. “In the first episode, you see how he sacrifices himself for the greater good,” Hodge offers. “It’s an honor to play this because he is a good representation of a male character that I want to put out into the media. He is truly honorable” the visual artist adds. Hodge, who credits his mother and older brother Edwin Hodge (Chicago Fire) with his acting career, believes that the time is right for a character like Noah and a show like Underground because it offers something more to the televisual landscape for audiences while satisfying him artistically as an actor. Two of Underground’s executive producers Misha Green (Heroes, Sons of Anarchy) and Joe Pokaski (Heroes, CSI, Crossing Jordan) agree that the time is ripe for a story like this. 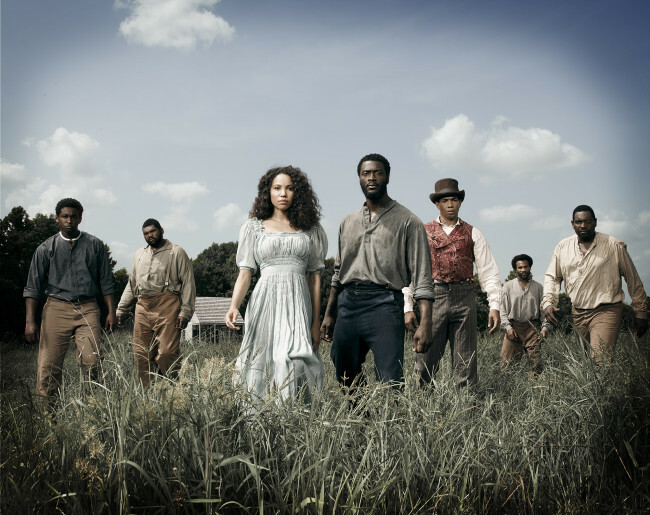 Green offers, “The Underground Railroad is one of the greatest American stories in history and it has never been told on television like this before.” Green and Pokaski who have worked together for many years, speak passionately while finishing each other’s sentences and sentiments. “This show is about more than timing,” says Pokaski. “It is really a show that will give audience members a gut check,” he adds. “After watching this show, audiences will really have to ask themselves about their level of activism in social justice,” offers Green. Hodge believes that audiences will get a lot out of the show because it is a departure from traditional slave dramas on television and film. Music superstar John Legend serves as one of the executive producers on the show, which incorporates contemporary music in the soundtrack. Despite the contemporary approach to music and storytelling, the history of the time period is hard to fathom, even for an actor. ***Underground premieres on WGN on March 9, 2016 at 10 p.m. EST. Check local listings for channel information. This article was written by Nsenga K. Burton, Ph.D., founder & editor-in-chief of the award-winning news blog The Burton Wire. Follow her on Twitter @Ntellectual or @TheBurtonWire.